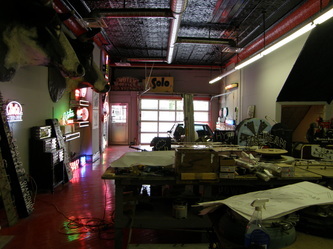 The Neon Factory's current location is now at 594 Main Street located just between China Town and the North End. 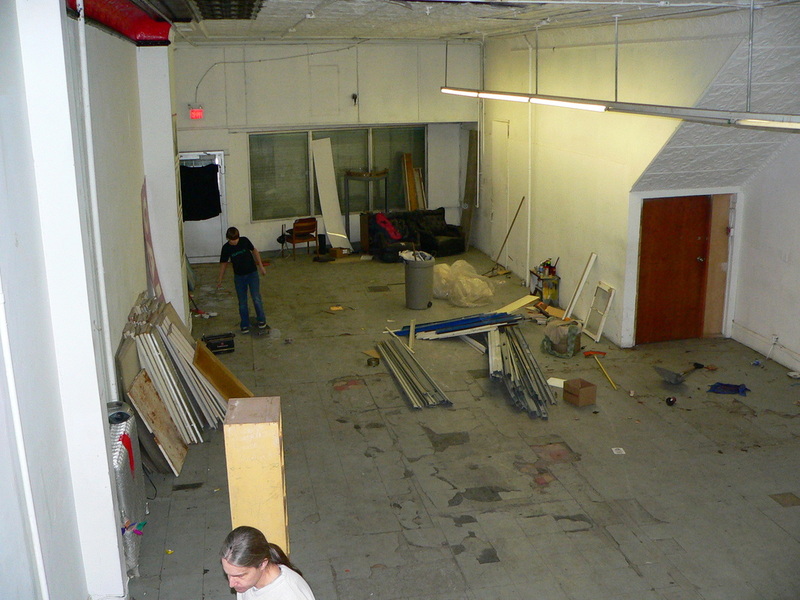 You will notice by the photos how our current location is an ever growing project. It started with purchasing a building for once and for all and continues with endless renovations. Reno's started with installing a glass garage door so that the community and passers by could forever enjoy and remember neon and our city's past through signage. It then fire balled from there with lots of hard labor, paint, and determination to become what now stands today. 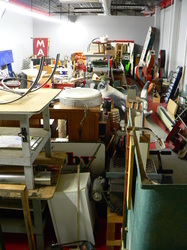 Mike and Joe purchased the building in 2007 and the move was enormous as you could imagine. We have some great photos of the move that we will post. The place was a bit of a disaster when we moved in. It required much attention to become what it is today. I remember all of us tearing up 5 or 7 layers of smelly flooring with a pitch fork to get to the floors we have now and Mike up on a ladder for days no weeks on end painting the tin ceiling by hand with one little brush and several cans of Tremclad. The boys employed students from work placement programs to work on the other 2 floors of the building. They opened up the back half of the 2nd floor to make one big room and created a studio living space in the front half. Yes there is space for lease. The 3rd floor is still on its way to becoming what ever becomes of it. All I can say is this building is a labor of love. It was important to save the historic value of the building to Mike and Joe. They applied for historic status for the building and received it. The are so many beautiful features of this building and it has quite the past as well! The revitalization of this building is a timely and costly one but to do it right that's what it takes. 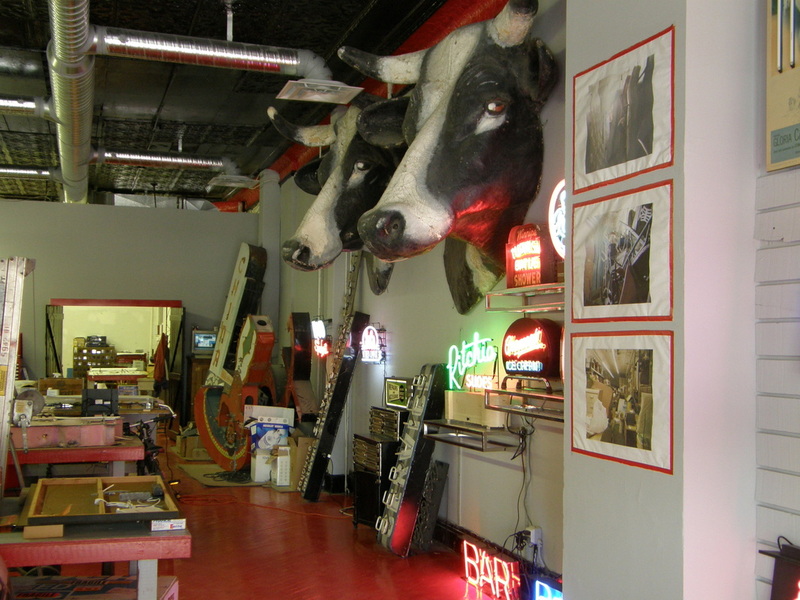 As preservation of the past is a big thing for Mike and Joe there is no cowboying this job. The Neon Factory is now growing into its own skin again. 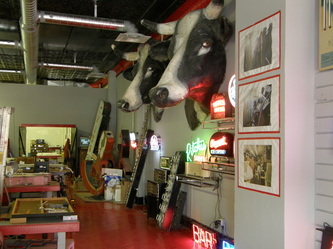 The main floor renovations are done and Mike's massive collection of Neon signs are going back up! Not only are the signs going back up but so are so many other pieces of Winnipeg's history. We recommend you drop in one day or just peek in the window and see what kind of memories the shop will bring back for you! You might be surprised at what you might find! As it is all still a work in progress we will be back to even post more photos and updates on what is new and awesome here at 594 Main. With renovations of the shop coming to an end the fun now starts! The hard work finally pays off for Mike and Joe as the Neon Factory in its new glory is sought out by people all over for neon and even the unexpected! Not only is the Neon Factory the number one place for neon but it has also become a popular venue for events! 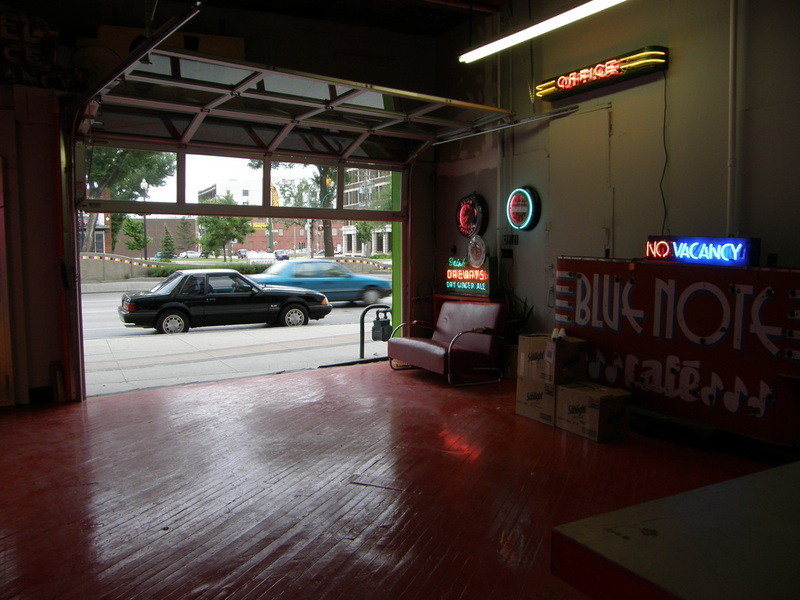 Just recently The Neon Factory became an amazing location for a very successful pop up dinner. The space has also been used to host parties and for t.v.. After being featured on History Channels popular t.v. 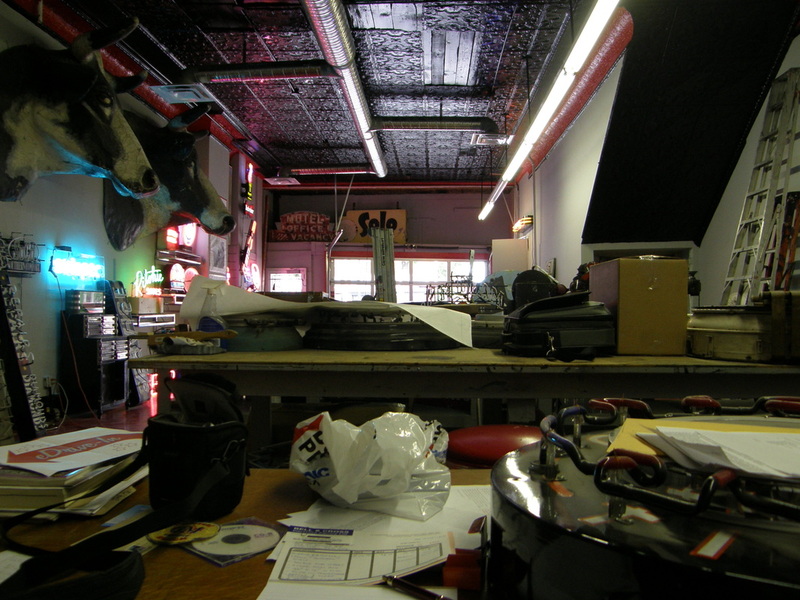 show Canadian Pickers The Neon Factory just keeps on growing and glowing! There are still more changes to come! More signs to go up, more prop rentals to be displayed, parties to be had and neon to be made!